Romantic Valentine crafts are an interesting and endearing way to show that special someone how much you care. Not only does receiving the gift show that you care, making that gift with your own hands makes it even more personal and appealing. Take a look at a few crafting ideas for the holiday, or use the general suggestions to apply your own handicraft skills to other items. Valentine crafts can be romantic and memorable. A jewelry box is a great Valentine gift. A jewelry box in the shape of a heart is even better, but it will require a little more time to build. Start by cutting strips of wood to resemble one side of a traditional Valentine heart, then join the pieces with wood glue to form the full shape. Use a dark wood such as mahogany or cherry, or use a dark stain and finish it with a deep, lustrous sealant. Add heart-shaped hinges and clasps to cap off the project. Existing jewelry boxes can be customized by adding a heart decal or personal photograph and sealing it under two or more coats of glossy lacquer or polyurethane finish. From poured ceramics to hand-shaped clay, Valentine gifts made by hand have the advantage of being one-of-a-kind designs. Heart decals can be added to coffee cups and fired in a kiln to become a part of the creation, for instance. Other Valentine gifts made from ceramics include a keepsake dish, and I-love-you wall plaque, or a hand-made potpourri dish and personally selected herbs. 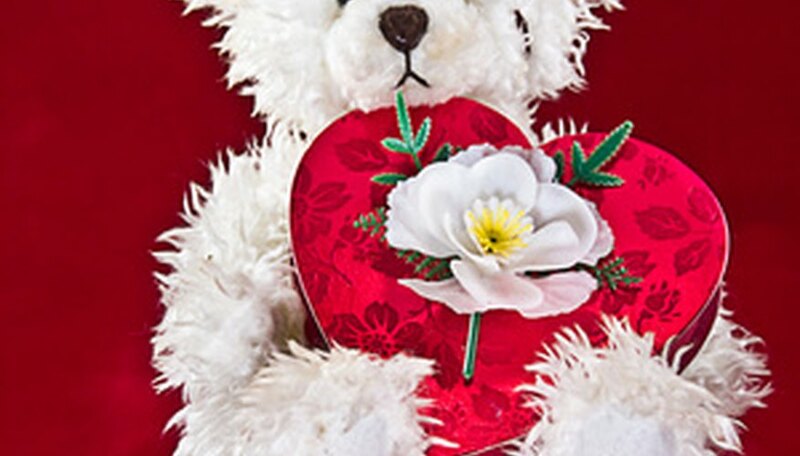 One of the most widely recognized Valentine traditions is the exchange of Valentine Day cards. Make your own cards using personal photos, personal endearments or other mementos of your feelings for that person. Computer designed cards are nice, but giving them a special touch makes them even more personal, such as adding a lace border around the card, or creating a card that is cut in the shape of a heart, a car, or some other item that holds special meaning for the two of you. Instead of reciting the same old lines, put some creativity into the card and make it something that is obviously intended for only one person's enjoyment. If you or the receiver are artists, the best gift for Valentine's Day might be an item that recognizes that love for art. A framed painting or drawing, or framing the person's favorite poem are two ideas, but creating a unique item just for the occasion is even better. Be sure to add a date to give the item a place in future memories, and perhaps personalize it with a brief note or or personal statement for the receiver. Golden, Roger. "Romantic Valentine Crafts." Dating Tips - Match.com, https://datingtips.match.com/romantic-valentine-crafts-6938914.html. Accessed 19 April 2019.